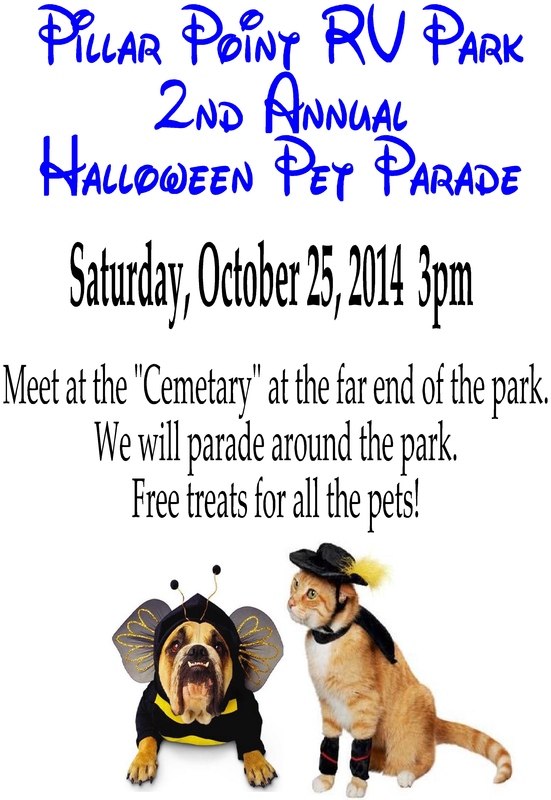 Half Moon Bay, CA - Pillar Point RV Park - 2nd Annual Halloween Pet Parade! The Pillar Point RV Park 2nd Annual Halloween Pet Parade was an astounding success! With a full house at the park, there were plenty of pets in costume and lots of people to watch the very well behaved dogs make their march around the grounds. There was even a photo booth set up in the "graveyard!" There were treats galore for both pet and human participants. You don't have permission to view the full content of the post. If you are a new user please register or contact the NRS Community Manager for more information.